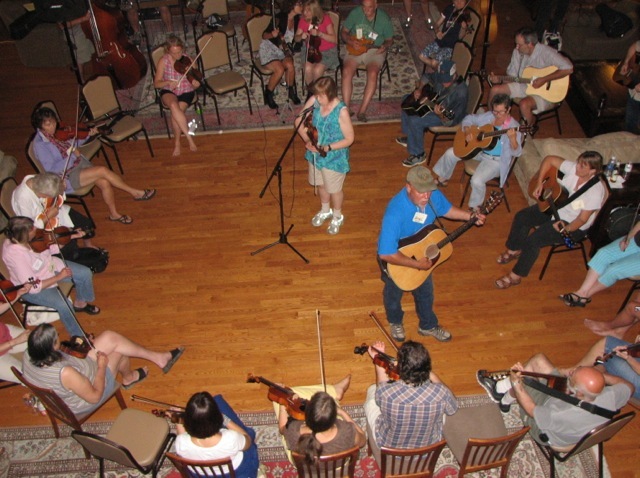 Join Us for Music, Learning and Fun! 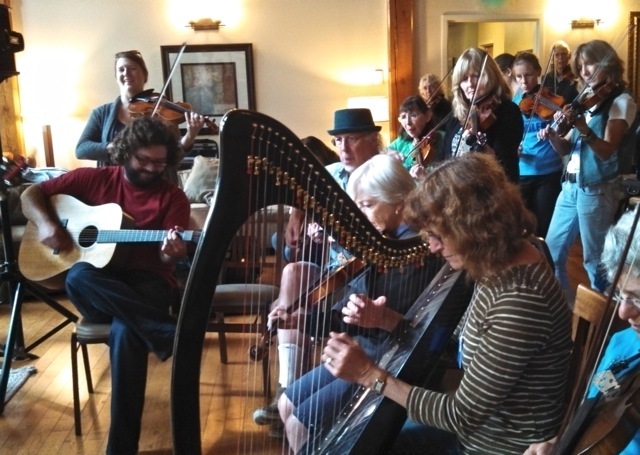 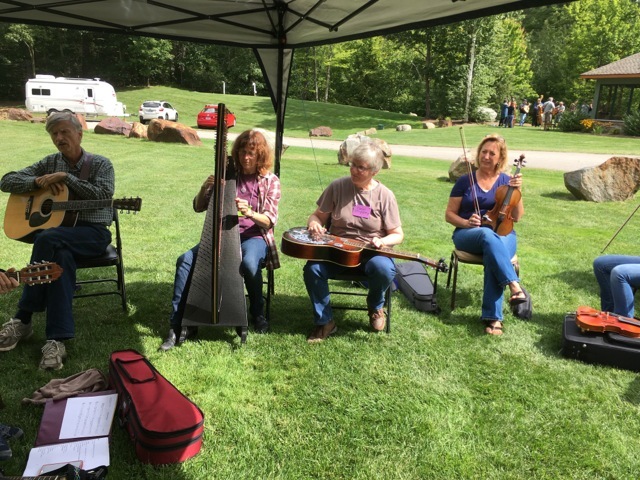 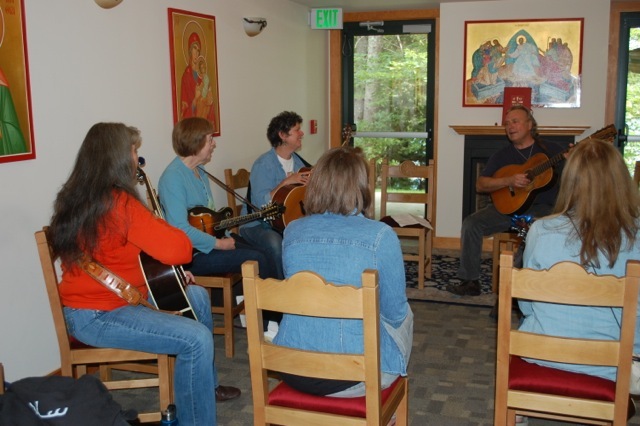 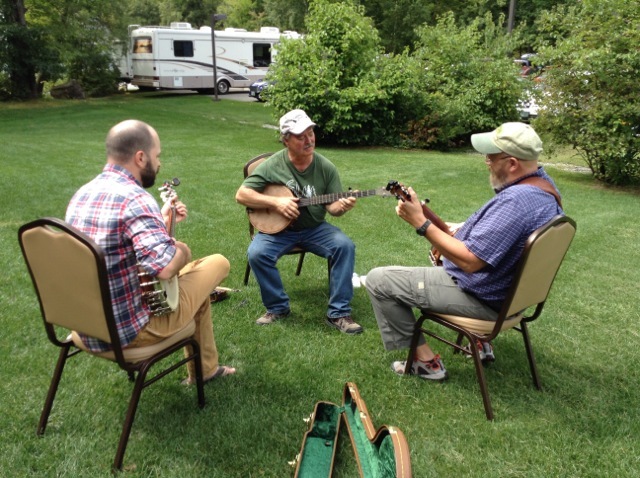 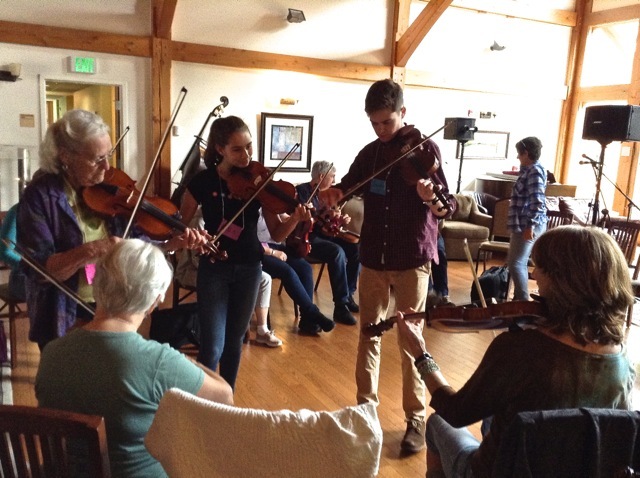 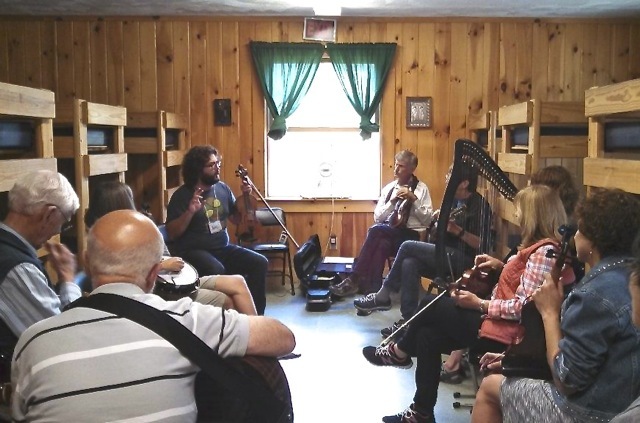 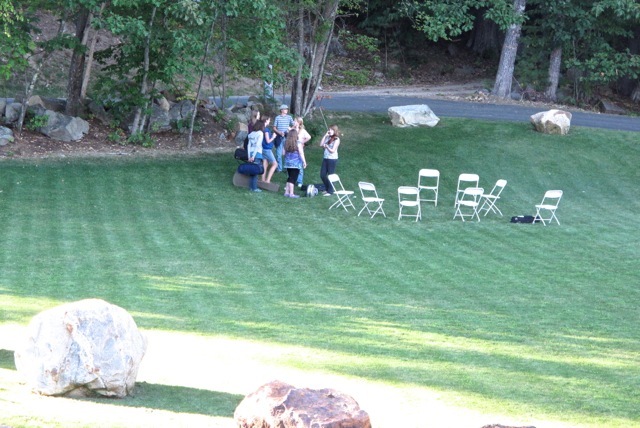 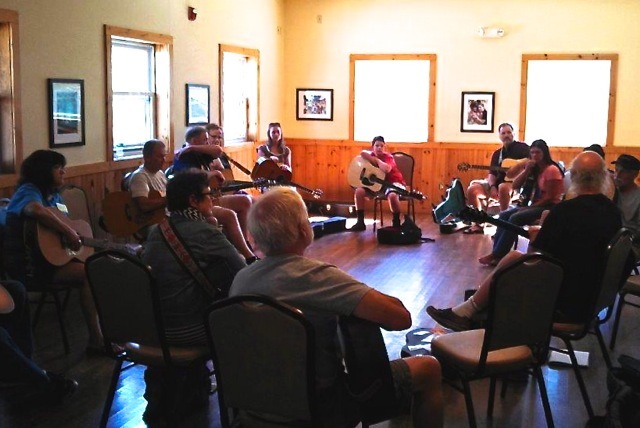 The focus of the Fiddleheads Acoustic JamCamp weekend is to teach and inspire musicians to play with each other in various styles--both singing and instrumental--and to experience playing in a band setting. 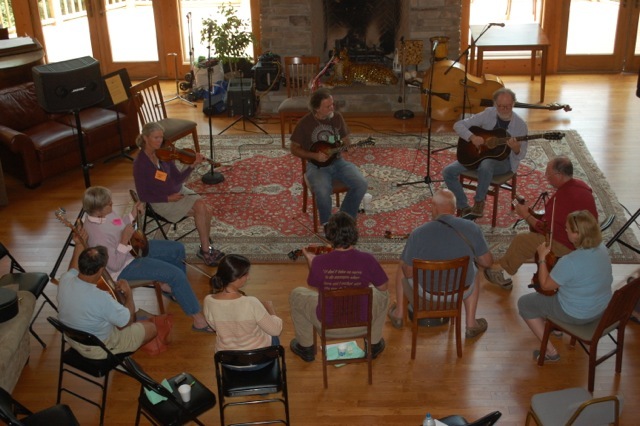 Held in early September each year, camp features hours of jams, workshops and concerts throughout the day. 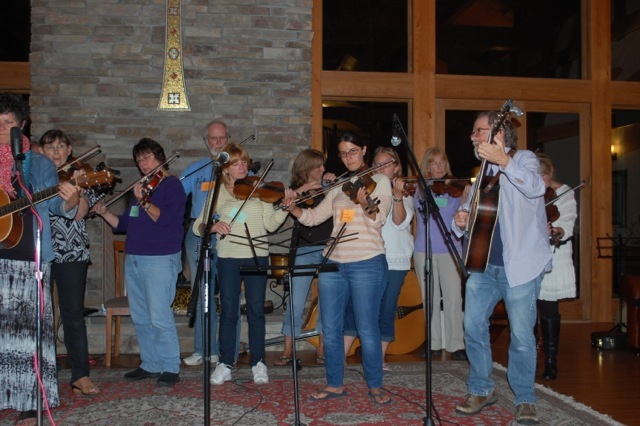 We form bands of various styles, practice playing with others and perform in an energy-filled Saturday evening concert. 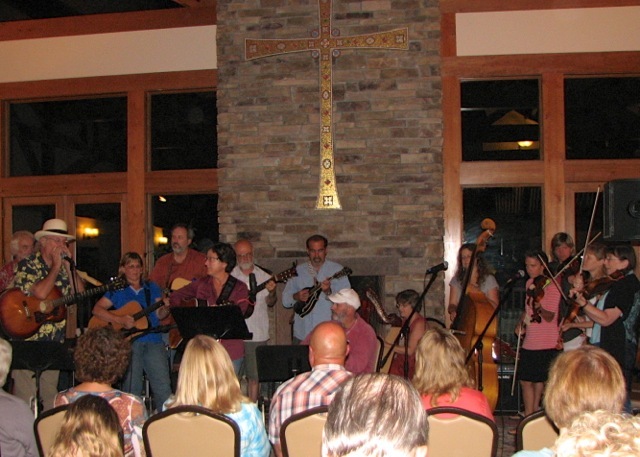 Jamming of various styles happens Friday and Saturday evenings. 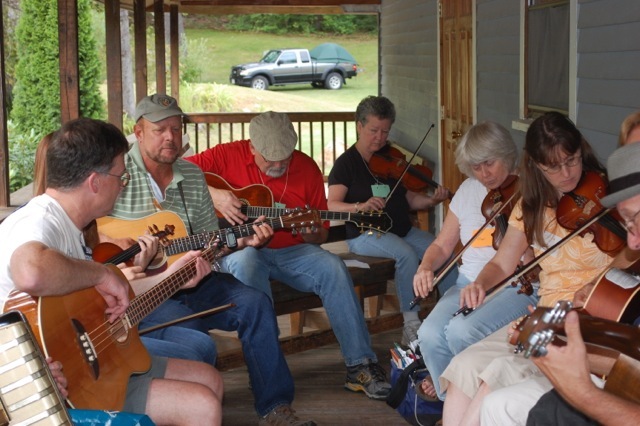 From blues to bluegrass, jigs to jazz, cajun to country and more! 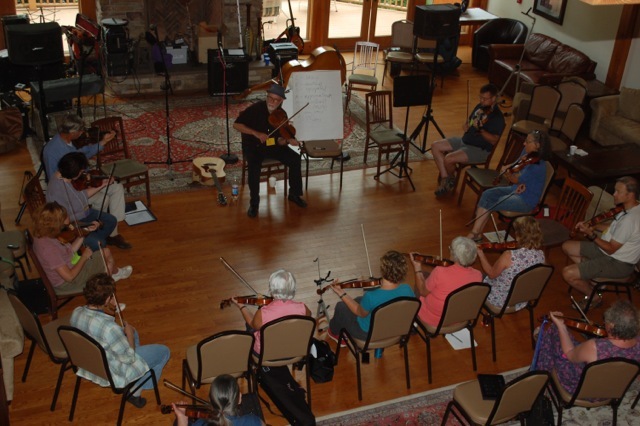 We hire coaches who are not only good musicians but who are also good teachers and have played in numerous bands of various styles. 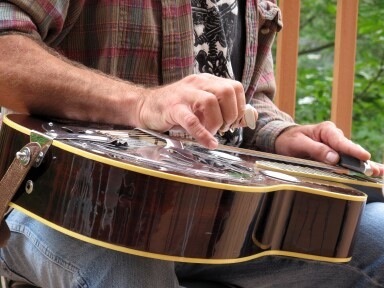 Also, we feature guided jams with focus on jamming essentials and techniques (hearing chords, backup, playing in different styles, soloing and more!